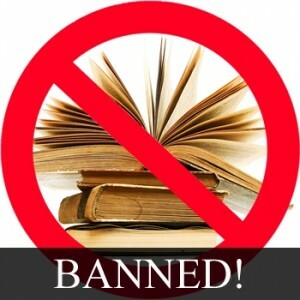 In a recent editorial piece on The Huffington Post, author and high school teacher Peter Brown Hoffmeister discusses the hot topic of banning books and explores the dangerous implications and imminent pitfalls of censoring the materials teenagers have access to in schools. Whether it be award-winning books like The Perks of Being a Wallflower, acclaimed graphic novels like This One Summer, or seminal classics like The Adventures of Huckleberry Finn, the issue of regulating the books included in school classrooms and libraries has come to a head in recent years. From concerns over possible traumatic triggers or language and content that could be perceived as inappropriate or offensive and hurtful to particular groups of people, many school administrators are succumbing to the knee-jerk reaction of simply pulling controversial books from curriculum and library shelves if someone complains. Hoffmeister, himself, recently became intimately familiar with the controversy when another teacher expressed hesitancy over his selection of the modern memoir, The Glass Castle, for his 9th grade English class. Concerned over the book’s “dark” themes, a teacher at Hoffmeister’s school questioned his inclusion of the book in his high school classroom. The core of Hoffmeister’s argument overturns three common assumptions often made by those who challenge books in high schools: 1) We need to protect young people, 2) teenagers can’t handle gritty material, and 3) teens won’t understand what’s going on if the materials are too complex. Teens reading the book will discover real-world issues, real-world language, and real-world situations. They will read those very real scenes and have to decide how they feel about them. In reading a real book, they will sometimes laugh, sometimes cry, and sometimes root for or against certain characters and events. In short, they will have normal responses to lifelike things. And what’s wrong with that? Literature is a gateway for teens to grow not only as students but citizens. Hiding behind concerns that these young adults need to be protected or simply are unable to understand complex subjects is a disservice not only to the schools and teachers who have dedicated their time to helping children grow into young intellects, but also a direct disservice to teens themselves. To teens, I say take back those great books. Take back the classics. Take back gritty, contemporary material. Look at the banned and challenged book lists and decide what you want to read, decide what you want to learn, decide what you care about. Then you can ask great questions, develop strong opinions, and be open to new ideas. Read Hoffmeister’s full editorial piece, “Should We Censor What Teens Read?” here.